Published in the Shortlist section of The Sydney Morning Herald, June 27. 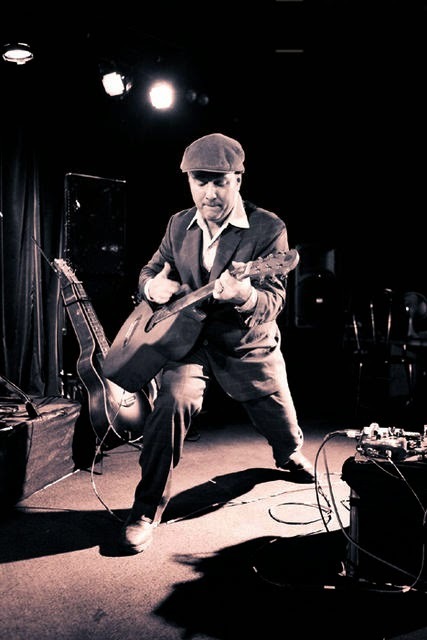 His third record with a band, Networking In Purgatory sees Collette in career best form. Beginning with the Beatles-esque ‘At The Piano’, it slowly builds as an album (for that’s what it is, not merely a bunch of songs) – the bouncy, bass-heavy ‘Bird’; the minimal and slightly electronic ‘Vanitas Quack’; the initially jazz styled ‘Helios’, which grows into a high-stepping, beatsy folk jaunt. It’s a very considered album, one for headphones with time on one’s hands, and it rewards handsomely. 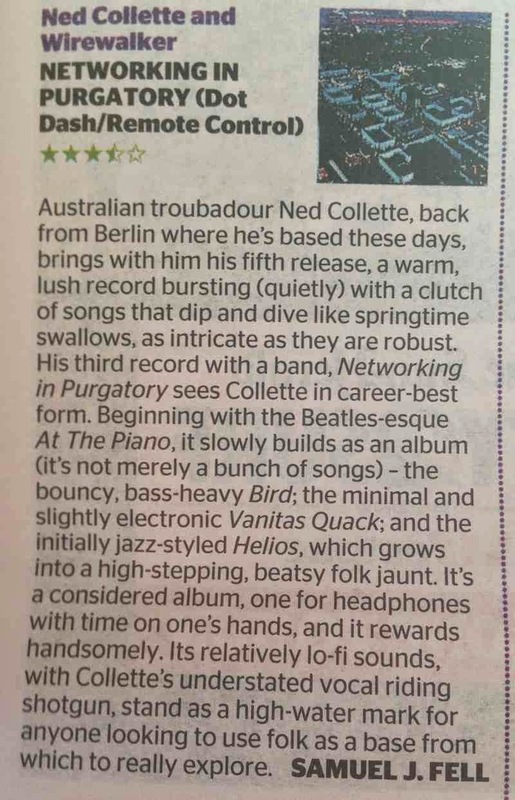 Recorded between Berlin and Melbourne, its relatively lo-fi sounds, with Collette’s understated vocal riding shotgun, stand as a high-water mark for anyone looking to use folk as a base from which to really explore. Published in The Big Issue, June 2014. 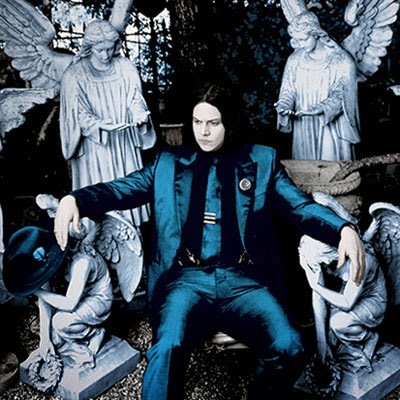 It’s been interesting to watch Jack White’s evolution as an artist over the past couple of decades, from a greasy-haired blues punk to the suave and sonically sophisticated gent he is today. As he’s evolved, so too has his reputation grown; an in-demand producer, label head and collaborator, White has become a part of modern music’s fabric. His work with the seminal White Stripes, The Raconteurs and Dead Weather (along with stints with all from Alicia Keys to Neil Young), have served to heighten his standing to a level not many achieve over an entire career, let alone a mere twenty years. The success of his rather belated solo debut, Blunderbuss (2012), is simply icing on the cake. 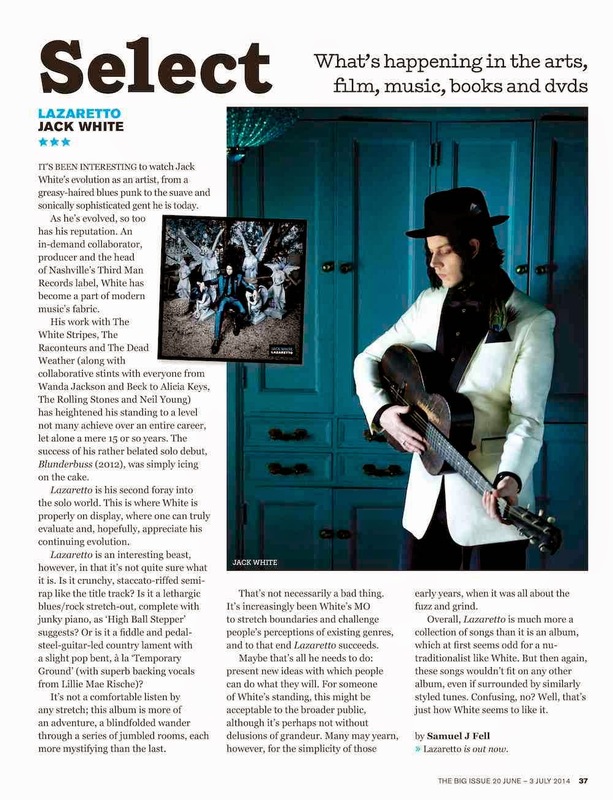 Which is why it’s all the more interesting to listen to Lazaretto, his second foray into the ‘solo’ world, a world where there aren’t too many places to hide – this is where White is properly on display, where one can truly evaluate and, hopefully, appreciate his continuing evolution. Lazaretto is an interesting beast however, in that it’s not quite sure what it is. 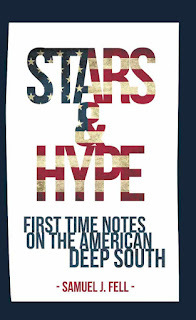 Is it an impossibly crunchy, staccato-riffed semi-rap like the title track? Is it a lethargic blues/rock stretch out, complete with junky piano as ‘High Ball Stepper’ suggests? Or is it a fiddle and pedal steel-led country lament, with a slight pop bent, a la ‘Temporary Ground’ (with superb, lilting backing vocals from Lillie Mae Rische)? 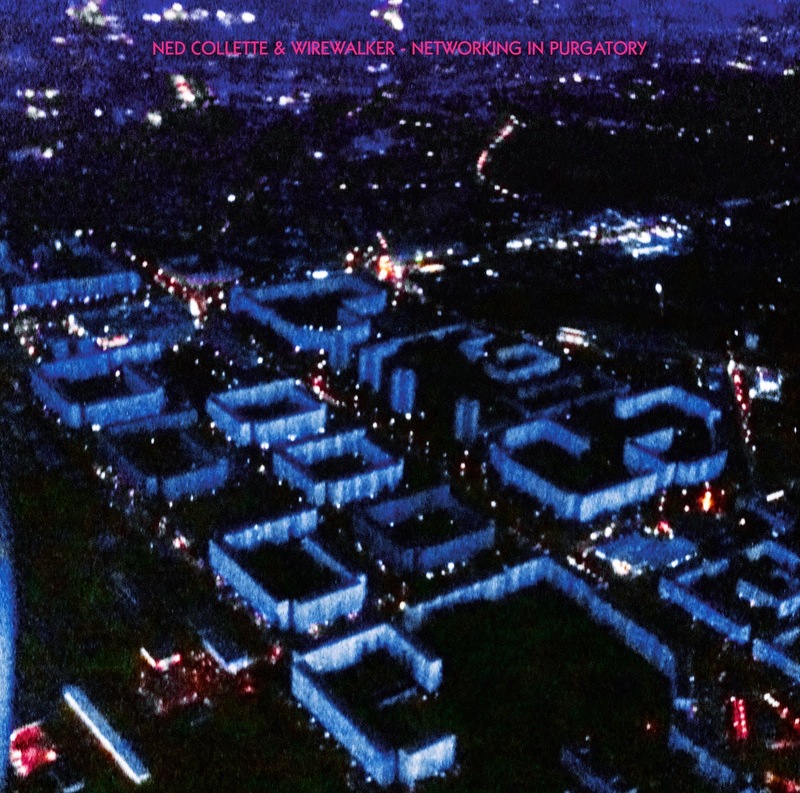 It’s not a comfortable listen by any stretch, it’s more an adventure, a blindfolded wander through a clutch of jumbled rooms, each more mystifying and cluttered than the last. And this isn’t necessarily a bad thing. It’s increasingly been White’s MO to stretch boundaries, to challenge people’s perceptions of existing genres, and to that end, with Lazaretto he’s succeeded. And maybe that’s all he needs to do – present new ideas with which people can do what they will. For someone of White’s standing, this is indeed acceptable, although perhaps not without delusions of grandeur – many may yearn for the simplicity of those early years when it was all about the up and down fuzz and grind. Overall, Lazaretto is much more a collection of 11 songs than it is an album, which at first seems odd for a nu-traditionalist like White. But then again, these 11 songs wouldn’t fit on any other album, even if surrounded by similarly styled tunes. Confusing, no? Well, that’s just how Jack White likes it, as his continued evolution suggests. Published in the Shortlist section of The Sydney Morning Herald, Friday June 13. 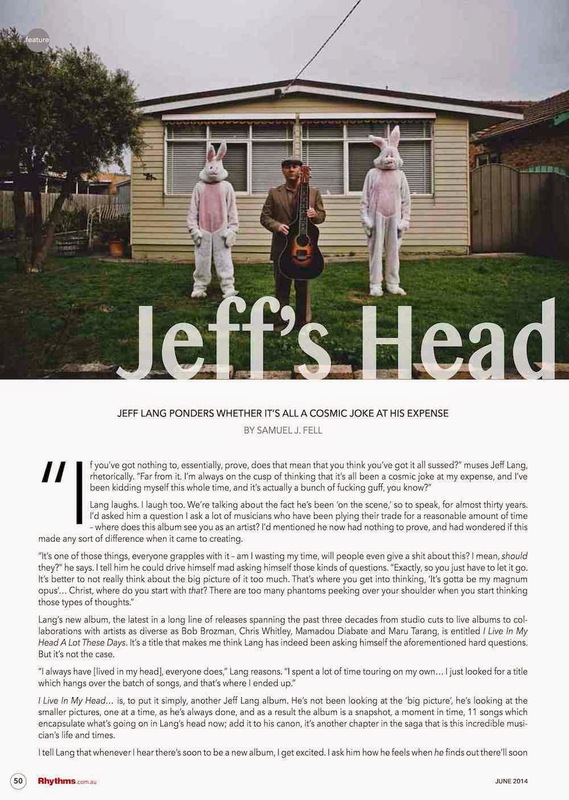 Jeff Lang’s latest record in a still flourishing career that’s spanned almost thirty years begins a capella, a few bars before that instantly recognisable slide guitar comes in, ‘Watch Me Go’, not so much a song as a story set to music. This is the MO for most of I Live In My Head A Lot These Days – it’s certainly not Lang’s loudest or fastest record to date; one gets the impression, despite his guitar prowess, that this one is mainly about the songs, the stories, the tales he weaves about promise, fear, sadness and life. Indeed, he has a knack for making seemingly mundane observations appear mystical, ethereal. Still set very much in the rootsy vein for which he’s known, and backed once more by crack rhythm section Grant Cummerford and Danny McKenna (with Greg Sheehan on board on percussion), this set stretches out gently but forcefully, a slow burner that affirms Lang’s place as not only a stellar player, but as one of Australia’s finest songwriters. Published in the June issue of Rhythms Magazine. Excerpt below. Jeff Lang ponders whether it's all a cosmic joke at his expense. Lang laughs. I laugh too. We’re talking about the fact he’s been ‘on the scene’, so to speak, for almost thirty years. I’d asked him a question I ask a lot of musicians who have been plying their trade for a reasonable amount of time – where does this album see you as an artist? I’d mentioned he now had nothing to prove, and had wondered if this made any sort of difference when it came to creating. 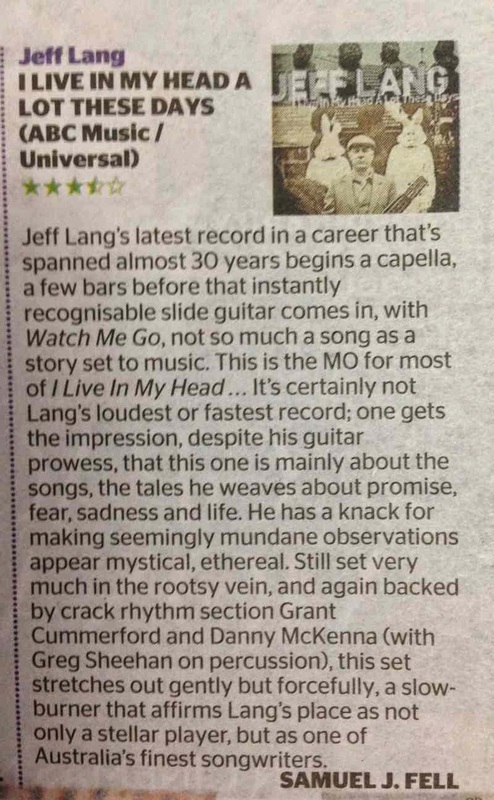 Lang’s new album, the latest in a long line of releases spanning the past three decades from studio cuts to live albums to collaborations with artists as diverse as Bob Brozman, Chris Whitley, Mamadou Diabate and Maru Tarang, in entitled I Live In My Head A Lot These Days. It’s a title which makes me think Lang has indeed been asking himself the aforementioned hard questions, but it’s not the case. 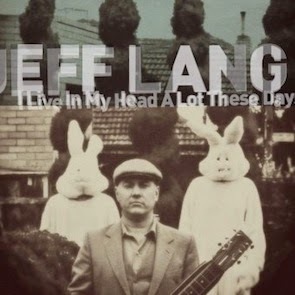 I Live In My Head… is, to put it simply, another Jeff Lang album. He’s not been looking at the ‘big picture’, he’s looking at the smaller pictures, one at a time, as he’s always done, and as a result the album is a snapshot, a moment in time, 11 songs which encapsulate what’s going on in Lang’s head now; add it to his canon, it’s another chapter in the saga that is this incredible musician’s life and times. “It’s a funny process,” he goes on, warming to the subject of making studio albums, something he’s done under his own name around seventeen times, 18 if you include his new record (and to be honest, he’s done so much, there may well be more). “You feel like you’ve been doing something, it doesn’t feel like a polaroid project too much, but it’s funny, you can spend three days recording and then listen back to something you did on the first of the three days, and it feels like it’s weeks and weeks ago. 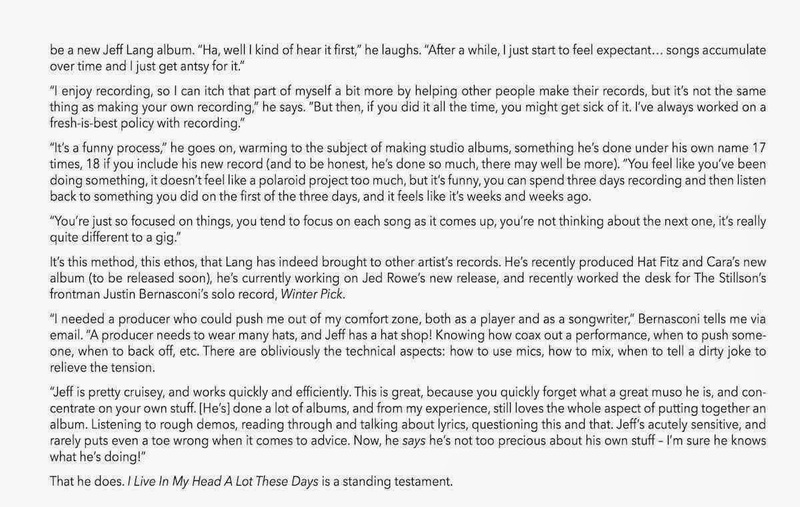 It’s this method, this ethos, that Lang has indeed brought to other artist’s records. 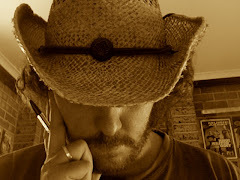 He’s recently produced Hat Fitz and Cara’s new album (to be released soon), he’s currently working on Jed Rowe’s new release, and recently worked the desk for The Stillson’s frontman Justin Bernasconi’s solo record, Winter Pick. “I needed a producer who could push me out of my comfort zone, both as a player and as a songwriter,” Bernasconi tells me via email. “A producer needs to wear many hats, and Jeff has a hat shop! Knowing how coax out a performance, when to push someone, when to back off, etc. There are obliviously the technical aspects: how to use mics, how to mix, when to tell a dirty joke to relieve the tension. That he does. I Live In My Head A Lot These Days is a standing testament. For the full feature, check out the June issue of Rhythms. Published in the June 2014 issue of Rhythms Magazine. 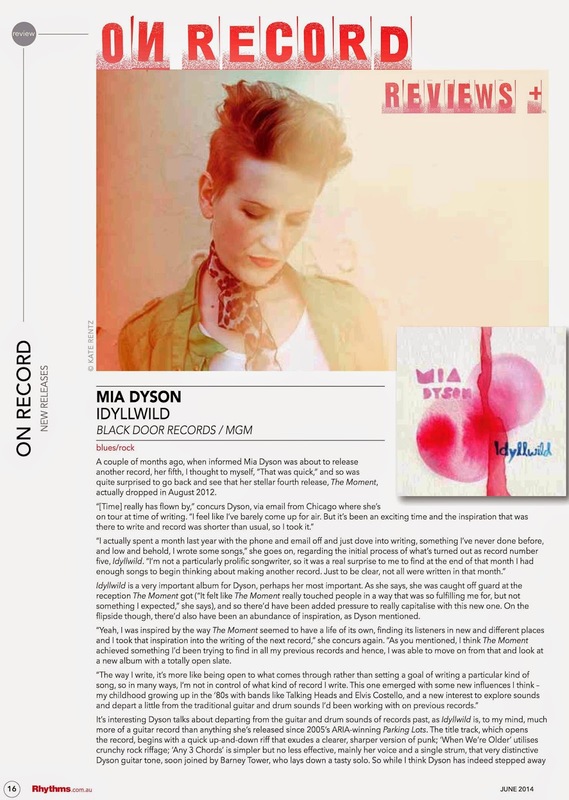 A couple of months ago, when informed Mia Dyson was about to release another record, her fifth, I thought to myself, ‘That was quick’, and so was quite surprised to go back and see that her stellar fourth release, The Moment, actually dropped in August 2012. Time flies when you’re enjoying a record, no doubt. Idyllwild is a very important album for Dyson, perhaps her most important. As she says, she was caught off guard at the reception The Moment got (“It felt like The Moment really touched people in a way that was so fulfilling me for, but not something I expected,” she says), and so there’d have been added pressure to really capitalise with this new one. On the flipside though, there’d also have been an abundance of inspiration, as Dyson mentioned. “Yeah, I was inspired by the way The Moment seemed to have a life of its own, finding its listeners in new and different places and I took that inspiration into the writing of the next record,” she concurs again. “As you mentioned, I think The Moment achieved something I’d been trying to find in all my previous records and hence, I was able to move on from that and look at a new album with a totally open slate. 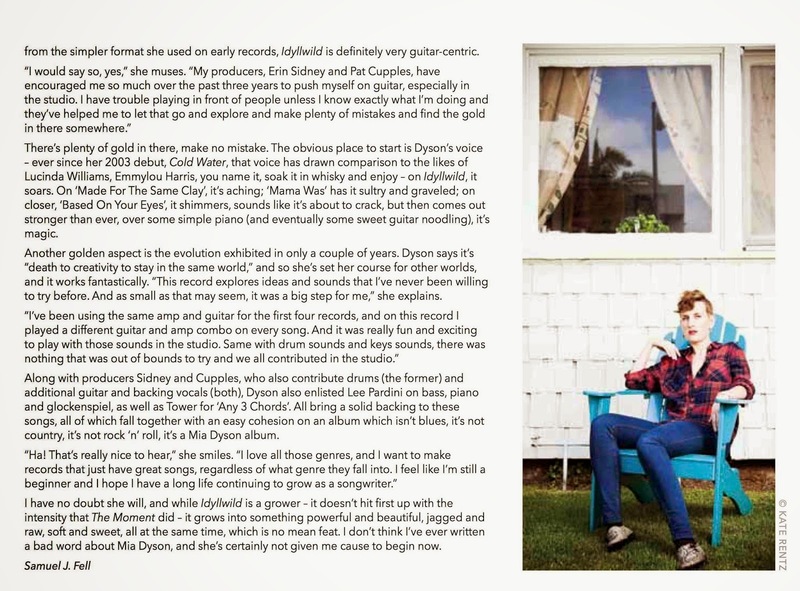 It’s interesting Dyson talks about departing from the guitar and drum sounds of records past, as Idyllwild is, to my mind, much more of a guitar record than anything she’s released since 2005’s ARIA-winning Parking Lots. The title track, which opens the record, begins with a quick up-and-down riff which exudes a clearer, sharper version of punk; ‘When We’re Older’ utilises crunchy rock riffage; ‘Any 3 Chords’ is simpler but no less effective, mainly her voice and a single strum, that very distinctive Dyson guitar tone, soon joined by Barney Tower, who lays down a tasty solo. 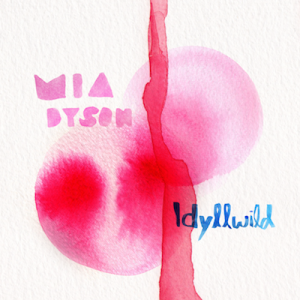 So while I think Dyson has indeed stepped away from the simpler format she used on early records, Idyllwild is definitely very guitar-centric. There’s plenty of gold in there, make no mistake. 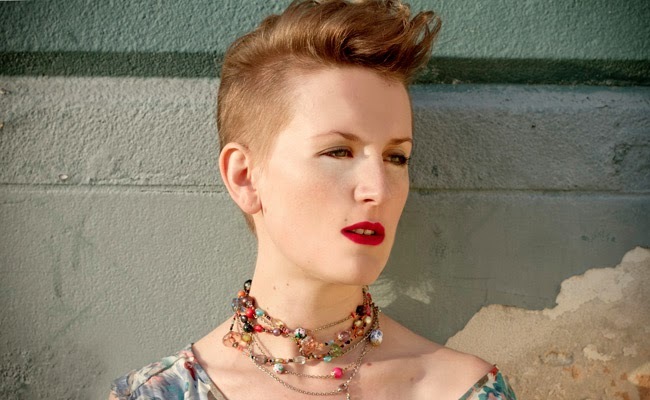 The obvious place to start is Dyson’s voice – ever since her 2003 debut, Cold Water, that voice has drawn comparison to the likes of Lucinda Williams, Emmylou Harris, you name it, soak it in whisky and enjoy – on Idyllwild, it soars. On ‘Made For The Same Clay’, it’s aching; ‘Mama Was’ has it sultry and graveled; closer, ‘Based On Your Eyes’, it shimmers, sounds like it’s about to crack, but then comes out stronger than ever, over some simple piano (and eventually some sweet guitar noodling), it’s magic. Another golden aspect is the evolution exhibited in only a couple of years. Dyson says it’s “death to creativity to stay in the same world”, and so she’s set her course for other worlds, and it works fantastically. “This record explores ideas and sounds that I’ve never been willing to try before. And as small as that may seem, it was a big step for me,” she explains. Along with producers Sidney and Cupples, who also contribute drums (the former) and additional guitar and backing vocals (both), Dyson also enlisted Lee Pardini on bass, piano and glockenspiel, as well as Tower for ‘Any 3 Chords’. All bring a solid backing to these songs, all of which fall together with an easy cohesion on an album which isn’t blues, it’s not country, it’s not rock ‘n’ roll, it’s a Mia Dyson album. I have no doubt she will, and while Idyllwild is a grower – it doesn’t hit first up with the intensity that The Moment did – it grows into something powerful and beautiful, jagged and raw, soft and sweet, all at the same time, which is no mean feat. I don’t think I’ve ever written a bad word about Mia Dyson, and she’s certainly not given me cause to begin now.